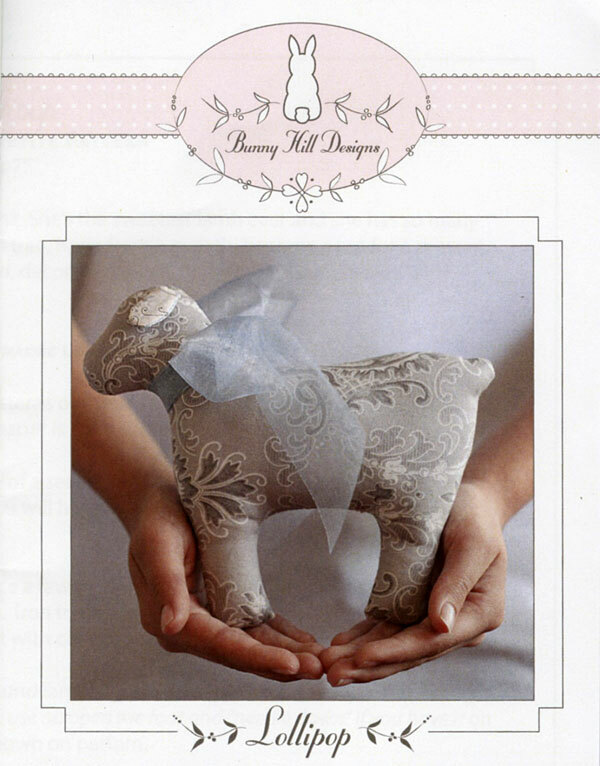 Lollipop petite stuffed animal sewing pattern from Bunny Hill Designs by Annie Sutton. Perfect for baby showers, to decorate a present, precious toy for baby, to decorate your Christmas tree...the list is endless. 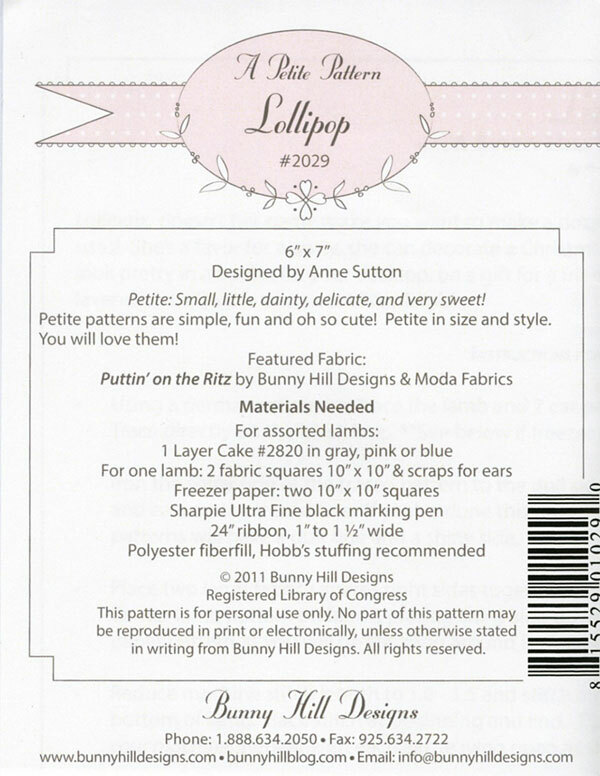 Everyone loves making Lollipop--she's so quick and simple! Finished size 6" x 7"